Drawing on a dynamic set of "graphic texts of girlhood," Elizabeth Marshall identifies the locations, cultural practices, and representational strategies through which schoolgirls experience real and metaphorical violence. How is the schoolgirl made legible through violence in graphic texts of girlhood? What knowledge about girlhood and violence are under erasure within mainstream images and scripts about the schoolgirl? In what ways has the schoolgirl been pictured in graphic narratives to communicate feminist knowledge, represent trauma, and/or testify about social violence? Graphic Girlhoods focuses on these questions to make visible and ultimately question how sexism, racism and other forms of structural violence inform education and girlhood. From picture books about mean girls like The Recess Queen or graphic novels like Jane, The Fox and Me to Ronald Searle’s ghastly pupils in the St. Trinian’s cartoons to graphic memoirs about schooling by adult women, such as Ruby Bridges’s Through My Eyes and Lynda Barry’s One Hundred Demons texts for and about the schoolgirl stake a claim in ongoing debates about gender and education. 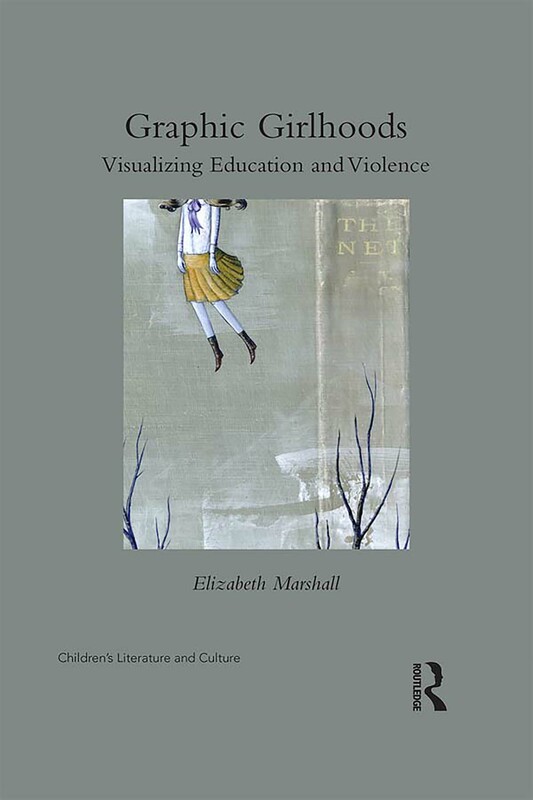 "Elizabeth Marshall’s Graphic Girlhoods: Visualizing Education and Violence is a highly pertinent study of the contemporary depiction of violence in graphic texts such as picture books, comics, memoirs and other visual works that demonstrate how oppression and violence are key factors in the upbringing of girls in America. In fact, given recent developments in America, Marshall’s thoughtful if not provocative book should be required reading for students, teachers, and parents of all ages and genders because she grasps how educational and other institutions in America continue to foster racism and sexism by violently imposing rules of the civilizing process that impede the autonomy of girls. It is through the resistance in the graphic texts she studies, she maintains, that young female, and perhaps male, readers will be able to learn to combat institutional abuse and narrowmindedness. In short, her book is a "dynamite" pedagogy of the violated." "Graphic Girlhoods investigates "texts of girlhood" from multiple conceptual and methodological frameworks ranging from picturebook theory to comic studies to visual culture studies and autobiography. An assemblage of critical feminisms further complicates Marshall’s theoretical treatment. Each of these frameworks allows Marshall to craft a complex argument which gestures towards the danger and disturbing "extracurricular activities" of education, girlhood and violence. This book is a must read for scholars in children’s literature, childhood and feminist youth studies." "The later chapters of the book act as inspiring introduction to many texts about girlhood and education. As a reading experience, Graphic Girlhoods is satisfying and provocative as well as being accessible to a wide audience. It is particularly relevant to an American audience but is of interest much more widely. I would strongly recommend it to anyone interested in girlhood, violence and/or visual cultures." "In this slim but high-impact vol-ume, Elizabeth Marshall examines a number of graphic texts—some written for girls, some written about girlhoods—in order to construct a complex, compelling argument about the role of violence in girls’ education." Dr. Elizabeth Marshall is an Associate Professor at Simon Fraser University, Canada.